Introducing our Warrior Status discount! 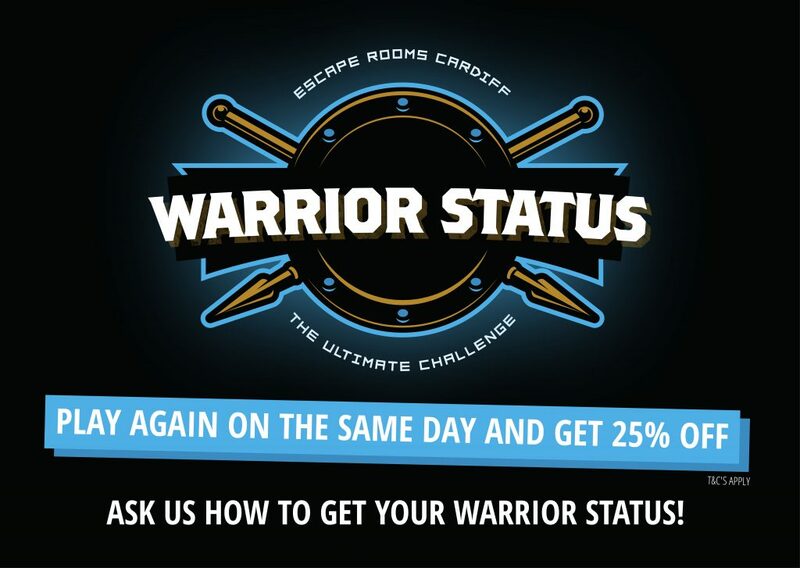 You can now test your endurance and play 2, 3, 4 or 5 games all on the same day at and get it a discounted rate of 25% off the whole booking along with the accreditation of being an Escape Rooms Cardiff Warrior! As long as they are played on t same day, it still counts so why not make a day of it and get 25% the bill at Zizzi’s too!? To apply, call 02921 679700.